So i still can't comment on the Feals, having never run them, and not knowing anyone else who has ever run them... but there are lots of people who run Fortune Autos regionally and have had very positive experience with the Fortunes. I've been running the Fortunes for 2 years doing autocross, time attack, and HPDE. They have nice initial quality and (it appears) long-term durability. They haven't needed a rebuild. I am not easy on my suspension. I've set two lap records and won many events, so they are fast. They are comfortable on the street... more comfortable than my NC miata on stock springs and Konis. They have easy adjustability and it WORKS. I can totally transform the car, and it was a huge help switching from rain to dry and back again this last weekend. They have OUTSTANDING customer support. Fast and responsive. Assembly and rebuilds are in VA, which is local to me. I can visit their shop if i desire. Rebuilds are reasonably priced and are comprehensive. If you do racing, time attack, or drifting, they have a BALLER contingency program. They are easy to dial-in and inspire confidence out of the box. people with fancier and more expensive suspensions are struggling with all the bells and whistles, while i just hit the ground running. Three wheeling on a harsh curb. What is the program you speak of exactly? I'm about to pull the trigger on some my self i think. What rates were you running? Google search "Fortune auto contingency" and it should pop up. I run 10k front 7k rear springs, OEM front sway, no rear sway, great balance and enough body control for anything less than Hoosier r7. Oh yeah... Having run the green springs they come with, the Swift or hyperco spring upgrade is worth it. Intresting. Thank you. Will you by chance be at summit this weekend? I'd love a ride along if you will be there instructing or giving rides. Even more so interested in the no rear sway. But hands down my current set up is far to soft to deal with that. Last question what tires are you running in the dry? Re71s? It's a shame we can't all get together and drive each other's setups. Would love to try Fortune or Feal and my MeisterR's side by side. It sounds like we're all running the same spring rates, so we could really isolate the damping component. If only there was some sort of "road" trip.. Unfortunately i will not be a summit this weekend, but i plan to be in November with NASA. disconnecting the rear sway allowed me to get aggressive and curbs and corner exit with no wheelspin. it's awesome when you let a suspension travel freely! In the dry, if its just for fun, i run something long-wearing like falken rt615K or Hankook RS4 or maxxis VR1 etc. 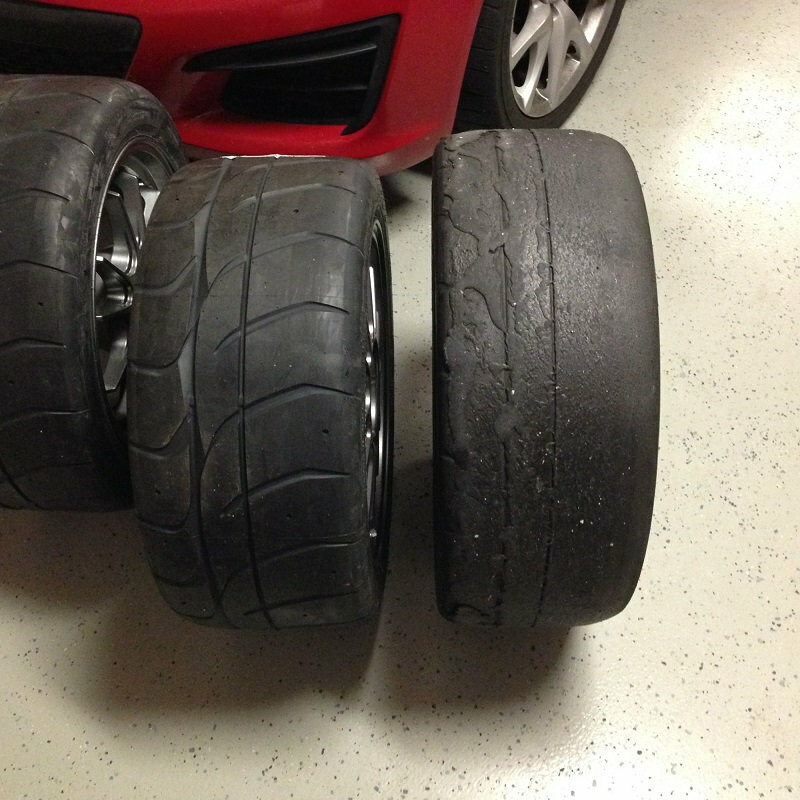 For time attack i run say a maxxis RC1 or Toyo R888R or a Hankook Z214 or a Hoosier R7. I am finally getting around suspension upgrade on my S2. Car is mainly track duty with occasional weekend drive. Would like to get neutral handling that can be adjusted with hotchkis sway bars - front and back or will I have to go back to stock bars? 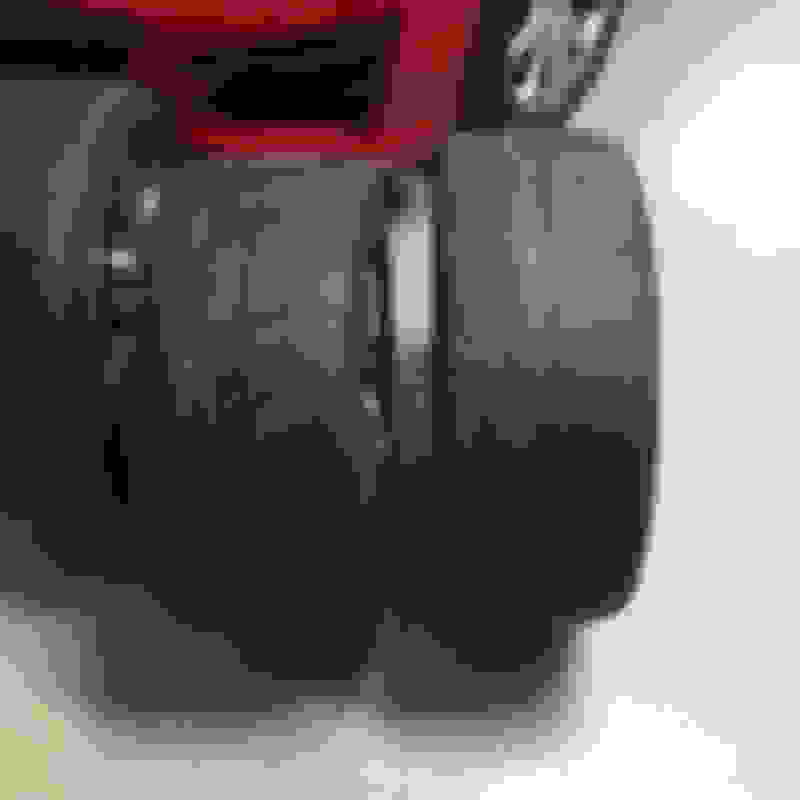 I run NT-01 rubber most times on the track. So what do you guys recommend is the best option/value in terms of performance/durability/ease of adjustment? Also if I go with option 2 or 3 are the swift springs worth the upgrade ($264 feal and $350 fortune)? Last edited by Nadrealista; 04-03-2019 at 01:39 PM. You can choose spring rates with Feal as well. You just have to call them. In terms of track performance, Feal and Fortune stand head and shoulders above B14s. B14s are good all-around performers for people doing occasional track days and spending a lot of time on the street. You can most likely strike them from your list, according to your stated purpose. I have not owned Feal nor Fortune. What I can say is, as an HPDE instructor who always gets the Miatas / MX-5s assigned to him, and therefore drives nearly two dozen Miatas per year on all different suspensions, the Feal-equipped cars have been impressive. Based on my experience driving student cars on Feals, I would not hesitate to buy a set for my RX-8. I have no experience with Fortune, as they are not on the radar in my area. Goodwin Racing sells Feal, so everyone knows about them. As for sway bars, that may be something you just have to tune in. I run a Progress front bar with a stock rear bar. Your front bar will very likely work on one setting or another, but you may need to change out the rear to balance the car. You will want to get an alignment to max out front negative camber and set the rear to something sensible. I am running about -3.3 front and -3.0 rear. Last edited by Steve Dallas; 04-03-2019 at 07:33 PM. I have emailed Feal and Fortune. Fortune came back with "10k/7k overvalved to 12k/9k with the optional Swift springs"
Swift makes great springs. They are lighter than the competition due to the alloy they use, which results in fewer coils. Not huge, if you are not competing for big money, however. It means they will damp springs up to that rate. Kinda sounds like marketing mumbo jumbo though, doesn't it? I had imagined it meant they optimized the valving for those higher rates, not that those rates would be the max. That would make some kind of sense to me, I guess. If all it means is that that's their max, then yeah, that seems questionably meaningful to me. hm, why would they valve shocks for the different spring rate that I will not be using? Wouldn't it make more sense to valve for the springs rates they will actually put on coilovers? Maybe because it'd give you room to increase the spring rates without re-valving the dampers, and the only downside would be that your setup would be slightly over-damped until you switched springs. Over-damping isn't optimal, but it's not the worst problem to have, especially for a street car. Spitballing there, but that's my guess. So I just heard back from Feal and they are suggesting 16k/10k spring rate!? Our off the shelf kit uses 10k/6k and is a fairly soft comfortable ride. People tracking on 10k/7k are not achieving the grip they could have if they went firmer and utilized the full extent of their tires. The Swifts are a proprietary allow that allows the coils to be thinner and the springs to be lighter overall, meaning that the springs will react faster in any give situation. We only use Swift with our RR kits. Last edited by Nadrealista; 04-04-2019 at 02:25 PM. A lot of shocks are "overdamped". In the Miata world, SM Xida will damp up to 1000Lbs springs. FM Fox will damp up to 900Lbs springs. Both companies let you choose your spring rates without re-valving the shocks, and both setups are fast. I have FM Fox on my Miata with 672 / 448 springs. Damping is fine, and they have rebound adjusters to allow me to dial that in. That's a lot of spring! When I put my car's specs into the calculator, I came up with 13K / 8K as being more or less "ideal". Last edited by Steve Dallas; 04-04-2019 at 04:34 PM. That is what I thought as well. I am not aware of anybody who’s running that High of a spring rates on RX8? What type of rates people that I actually race these cars usually run? They will sell you whatever you request. Brian Goodwin was into racing RX-8s for a while. I think he was using 13K front springs. What tires are you using? Your photos look like NT01s and maybe RC-1s? I don't think you need 16K springs for that level of grip. Experience has led me to take the pessimistic view on these kind of fuzzy statements. "10k/7k overvalved to 12k/9k with the optional Swift springs"
Without further clarification I expect the translation is: "They come from the factory with 10k/7k springs. We can swap those out for 12k/9k and the original valving still works ok."
Last edited by blu3dragon; 04-05-2019 at 01:03 PM. Would your spring rate calculation apply to my car as well? What are the inputs, do sway bars play role? I have hotchkis bars on the car and I have kept the stock bars. Don't want to get something that will require me to fix issue with bars - ideally suspension would play well with bars I already have. Also if I want custom spring rates Feal cost goes up to $1800 (only swift springs and their road race shocks), while fortune auto is $1299 with custom spring rates ($1650 with swift springs upgrade). So costs are escalating quite quickly. Last edited by Nadrealista; 04-05-2019 at 12:45 PM. 16k/10k does sound excessive for this car and I would not go that far unless you have experience and reason telling you to do that. 13k/8k used by goodwin here is as far as I would go. Even that is pretty stiff based on what I am currently running in my track build and may be more optimized for hoosier levels of grip and autocross rather than track. 10k/7k is actually closer to what I'm running right now, and having gone from a slightly softer to a slightly firmer setup I can tell you that the firmer setup does not make that big a difference in lap times. What it does allow is quicker transitions, but at the cost of bumps upsetting the car more and needing quicker reactions to catch the rear. Essentially stiffer is harder to drive. Having said that, there is still a need to increase camber from what is possible out of the factory settings. Picking spring rates is also dependent on weight of course. I have stripped most of the easy stuff from my interior, which does have some of the same effect of going to slightly stiffer springs. As a set it and forget, the OTS Feal or fortune auto might be the way to go. Best bang for buck is possibly the PSS, then swap out the springs and get them re-valved to match somewhere locally. I always wondered about this, having big bars set to hard (hotchkis) limits the body roll/compression on stock suspension but it then also limits CAMBER gain, right? my car can only get -1.1 degree of negative camber in front, so all other things being equal having softer stock bar will yield more negative camber in the corners due to the suspension being more compressed compared to the same scenario with big hotchkis bar set to hard - which limits body roll? does this sound right? sounds like 10/7k could be happy medium then for mostly stock car? Last edited by Nadrealista; 04-05-2019 at 01:54 PM. 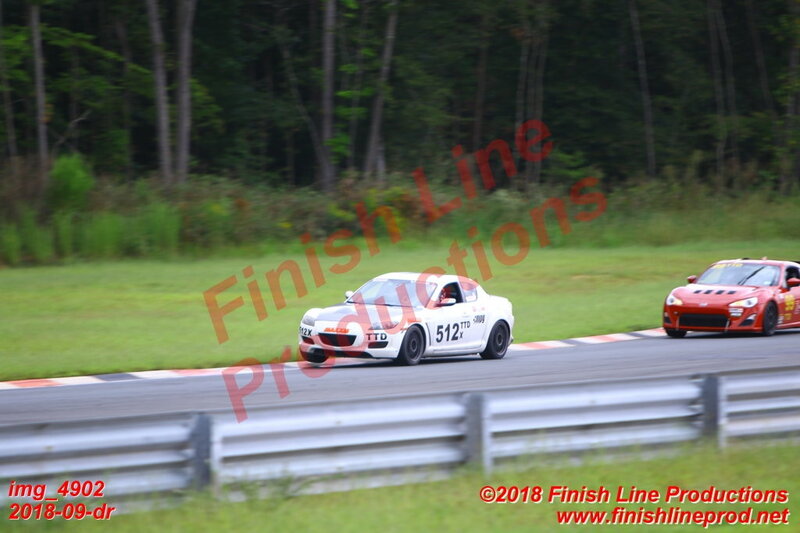 10k/7k with hotchkis mx5 front sway no rear is just a tad loose at autocross even with front bar full stiff . I imagine it's good for track. I'm getting another set of fortunes, 10k/6k, valved to 12k/8k. Should have a little push at track and neutral at autocross. More spring rate, oddly enough, reduces overall mechanical grip and makes the car more sensitive to corner balancing. I'm in favor of compliance and easy setup and easy to drive, especially with how good our camber gain is. I'm also doing more autocross and hill climb on somewhat bumpy surfaces, so compliance is helpful. Of course stiffer springs improves transient response and may give more driver confidence on a smooth track... But plenty of really fast folks make softish setups work and win. As for swift springs, they are lighter and more consistent. I'm racing for contingency and track records so they were worth it for me. Otherwise probably no where near as big a deal as driving well. My latest autocross video (see sig). illustrates how fast and neutral the current setup is. Going to -3.3* front -2.9* rear camber has helped from previous seasons. Last edited by hufflepuff; 04-05-2019 at 03:44 PM.